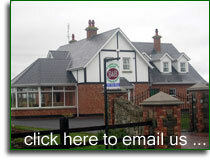 ... our brand new, purpose built 3-star "B & B" is set in the heart of some of the most picturesque landscape in Ireland. All our rooms are "ensuite", have private T.V. and coffee/tea making facilities as standard. We are located within a few minutes of all the best Golfing, Fishing and Historical Sites. Also, there are some nice walks in Mullaghreelan woods with historic monuments such as the Eagle, the Oblige and the Pinnacle. There are numerous restaurants (to suit all tastes and budgets), local bars with live traditional music located close to our doorstep. We have a wide selection of rooms available from room swith 4-poster beds to single rooms to cater for different budgets. ... we came for the golf, but will be back for the "craic !!!"